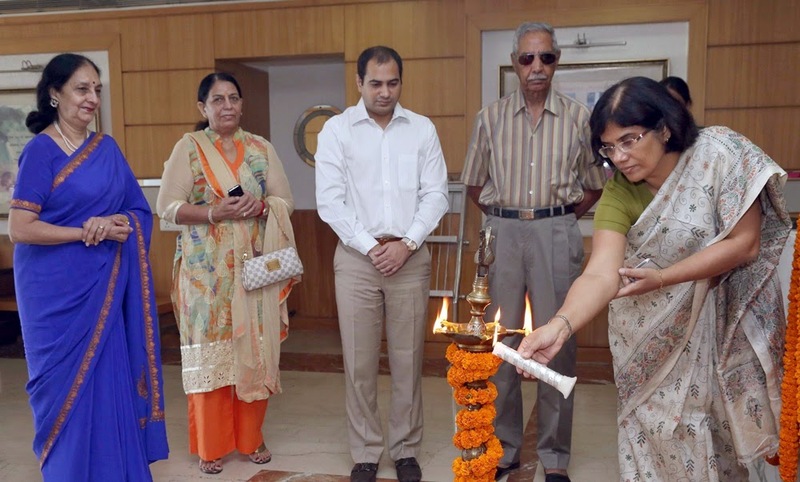 Sri Venkateshwar International School, Sec-18, Dwarka, celebrated the Grandparents Day on 27 September 2014. The event showcasing ‘Ramayana’ was resplendent in itself as it displayed the strong pillars of values and traditions imbued in the learning methodology. Vidushi Gitanjali Lal, a renowned Kathak Exponent and a Sangeet Natak Akademi Awardee was the Chief Guest for the occasion. Mr. Sailander Solanki, Chairman, SVIS, Group Capt. Ishwar Singh, Advisor–Venkateshwar Group of Schools and Ms Sudha Acharya, Principal ITL School were the Guests of Honour. The School Principal Ms Nita Arora welcomed the three generations for the event, commending them for their unparalleled support and care. She also emphasized upon the age old bond of grandparents and children. The event commenced with a poignant message, an offshoot of the students’ learning, a message on Sarv Shikha Abhiyan. Thereafter an aura of reverence was created with the Pre-Primary students picking up the narrative and transporting all to another realm. The Shaurya Gatha depicted the different phases of life of Lord Rama culminating in the annihilation of evil. The young ones stole every-one’s heart through their soul stirring portrayal of each scene. The stage setting and props gave the performance a real feel which gave one a feel of sitting in Ayodhyaya at one time to being in the midst of the battlefield at other times. The occasional chants of ‘Jai Sri Ram’ from the audience marked the success of the performance. Headmistress SVIS KIDS Ms Shama Kapoor proposed the vote of thanks. The event made each grandparent proud of their grandchild and the school was indeed acclaimed as one of the places where values and traditions support the modern pedagogical styles.